Government launches further efforts aimed at supporting the development of 5G technologies. The Government has announced a new competition with the goal of supporting the development of 5G technologies. The competition’s prize pool is £25 million, and it is part of the UK Government’s £740m National Productivity Investment Fund (NPIF). The “5G Testbed and Trials” competition, seeks to find new test locations across the UK to support the future rollout of 5G. Interested parties that come forward with project proposals can receive up to £5m in funded grants. 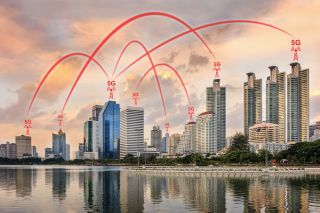 5G will enable higher internet speeds, allowing an increasing number of devices the possibility to connect seamlessly. This is particularly important for the ‘internet of things’, as well as voice and video calls through mobile devices. “To stay competitive we must be at the cutting edge of new technology and we are determined to be one of the first countries in the world to use 5G. In these very early stages we want all ideas, from all parts of the country, that will help us get the technology and the roll-out right to have a nationwide network of 5G innovators," digital minister Matt Hancock said.